The planet Mars, in Hindu Vedic astrology, represents energy, action and the ego. Mars can have a positive influence or a negative one on a person’s life, depending on the house it occupies in the birth horoscope. When Mars is placed in a strong position and is exalted, say Mars occupies the 3rd, 6th and 11th house; it can confer high energy levels, self-confidence, initiative, courage, an analytical bent of mind, fame, happiness and success. Mars can have a negative influence when it occupies the 1st, 4th, 7th, 8th and 12th houses of the horoscope. Mars in the 7th house and the 8th house is considered the most inauspicious. This position of Mars impacts the marital life of an individual and can be the root cause of extreme marital disharmony. When Mars occupies an inauspicious house it can lead to rash, violent behaviour, can make a person hot-tempered, stubborn and accident prone. In Vedic astrology, a person having Mars in an inauspicious house in the horoscope is called a Manglik. Mars can impact both men and women negatively. A Manglik can face extreme back luck in life. This influence is strong on the marital life and can lead to marital unhappiness, broken relationships or even the sudden demise of the spouse. The influence of Mars can make one rash, ruthless, self-centered and the person is unable to adjust. The person may also experience sudden and severe financial losses, failure in relationships and discord in marriage. Some believe that the negative effects of Mars are automatically nullified if the person is born on a Tuesday. This is not accurate as being born on any day has no impact on the Mars energy that guides you. You can view my video for more detail. Some believe that Mangal dosha effect diminishes after 28 years of age. This is also another misbelief spread by people who do not understand Mangalik dosha effects in detail. As your horoscopes does not change throughout your life, the influence of Mars will never change throughout your life. You can view my video explaining this in detail. A Manglik should marry another Manglik, as the negative influences are automatically cancelled out. When a Manglik marries a non-Manglik, the couple faces discord, disharmony and may lead to all sorts of problems. There are many remedies that are prescribed in Vedic astrology specifically for this situation. In arranged marriages, the matching of the birth horoscopes is recommended to find a suitable match. In such cases, marriage should be considered with mangalik only. An ancient remedy is the Kumbh Vivah. This is when a Manglik groom first marries a banana tree or the Manglik bride first marries a peepal tree to cancel out the malefic influence of Mars. The person then marries the non-Manglik person. It is widely believed that the malefic influence of Mars leads to the death of the spouse. Mars is also said to cause arguments, discord, and divorce in couples. A marital alliance between a Manglik and non-Manglik is mostly avoided, due to this wide-spread belief. The matching of horoscopes, prior to finalizing a matrimonial alliance, is recommended. Astrological remedies, as prescribed by an experienced Vedic astrologer, bring great results and help reduce the malefic influence of Mars. Other remedies, such as wearing gemstones, as advised by a gemologist, also helps deal with this situation. Apart from these remedies, mutual respect and adjustments in a marriage also go a long way in making the marriage a long and happy one. 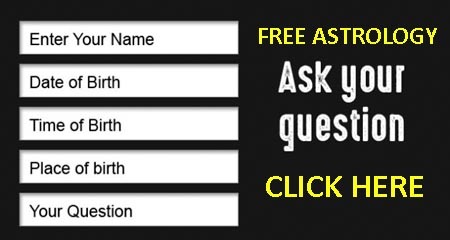 Want to Know more about your Horoscope Matching in detail along with Mangal Dosha solution. Please look at the Paid analysis from below. This Astrology report prepared by Astrologer Navneet Khanna, is a detailed Guna and Grah milan analysis and covers all aspects of Horoscope matching. Every Paid service includes email/phone consultation.